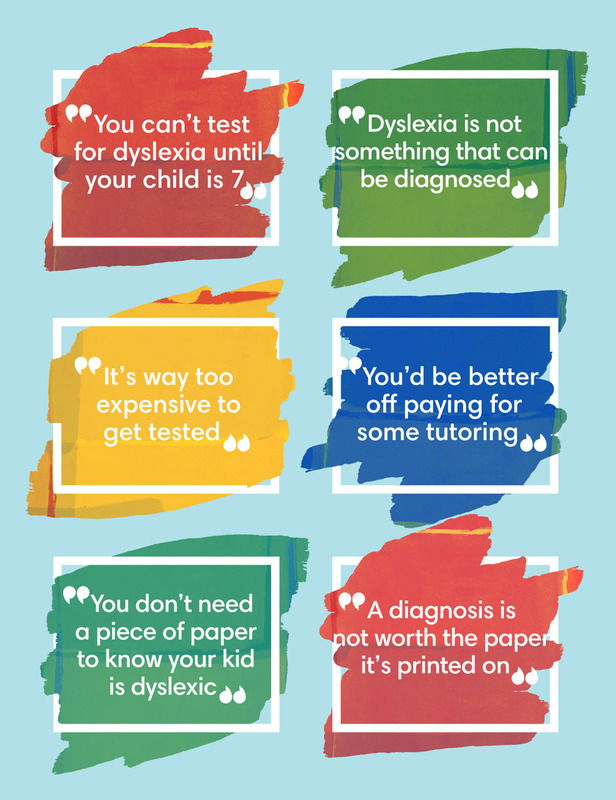 You’re probably reading this because you’re thinking of getting your child assessed for dyslexia. You may be feeling nervous, apprehensive, sad…you may even be feeling excited. Whatever you are feeling, you are not alone. There are plenty of us who have trodden your path. If you’ve read of any of my other blogs you’ll know that my son, Archie, is dyslexic. I can say that officially because I have it in writing. In fact, it says he “is presenting with a specific learning disability related to reading (otherwise known as dyslexia)”. It’s only a piece of paper but it is important in so many ways. 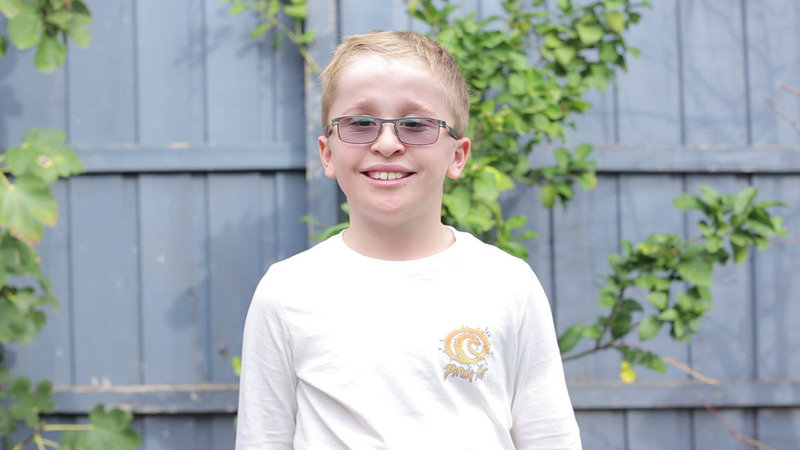 Authenticity – We knew Archie was experiencing difficulty with reading and we were sure it was dyslexia. To have someone official confirm that felt good. It was a kind of: we knew that but thanks for settling it! A key to support – Like it or not a diagnosis of dyslexia is often required before much-needed support can be given. The regulations differ from country to country and state to state, but that piece of paper will often be the evidence you need to get support for your child. ‍A badge for Archie – I know that might sound bizarre, but Archie was quite pleased to have a reason for his struggles. Of course, if your child is given the dyslexia badge it is important to support that with positivity. The last thing I wanted was for Archie to have a downer on being dyslexic or to see it as an unfortunate burden. More of that in another blog. There is an important distinction between the two terms. A test implies sitting down and answering questions that someone will score and then tell you how you performed. When trying to establish whether your child is dyslexic, there is much more involved. The process involved is more of an evaluation as it includes screening, testing, information gathering and report writing. I’ll cover what’s included in a full evaluation later in this blog. Sadly it’s not as direct as going to your GP, having a chat and getting a diagnosis. If only! In my experience, the whole issue of diagnosis was shrouded in a degree of mystery. And whilst I was listening to all this advice Archie wasn’t getting any better at reading and nothing was changing in the classroom. And my head hurt. A lot. For me, my journey got on track when I came across a brilliant Educational Psychologist (or Ed Psych if you’re in the know) who worked part-time in Archie’s school. I chatted with her about Archie’s struggles and she agreed that a full assessment would be the way forward. Who can you approach if you’d like your child assessed? I was lucky because I happened upon my helpful Ed Psych. You might not be that lucky. Generally speaking, assessments are done by speech-language pathologists and/or school psychologists. This can happen within your child’s school or at a clinic or agency. Assessment processes, procedures and costs vary enormously. The best place to start would be your country’s Dyslexia Association. I’ve listed a few here. Contact them to ask about assessment details – they are there to help and they should understand the journey you are going through. Do be aware that you may face a variety of options that differ in terms of waitlists, costs, depth of reporting, reputation etc. It can be a bit of a minefield so try to get some support and advice before you make any decisions. One really great source of support is Facebook groups. A simple search on your Facebook page for local dyslexia support groups should produce at least one group in your area. These groups are usually a safe and supportive forum for discussing many issues relating to dyslexia, including where to get your child assessed. It’s useful to learn from other people’s experiences and know that you’re not alone. What should be included in an assessment? A thorough evaluation should include a number of areas, not just reading. This is because we need to understand the various symptoms of dyslexia, not just how many words your child can read. Have a read of the What is Dyslexia blog to understand more about the symptoms. The first thing the assessor will cover will probably be your child’s history and background. School attendance: poor attendance can go some way to explain weaknesses in skill development. Intelligence, or IQ, tests are not always included in an assessment. Historically they were included because a gap between IQ and reading skills were seen as significant in early diagnosis. Nowadays it is believed that oral language abilities (listening and speaking) are better predictors of reading and spelling success. Typically dyslexics will have adequate or strong higher level oral language skills. This is the reading element, or the ability to read single printed words. The words should appear as a list without context or other cues. It is helpful if this part of the assessment measures both accuracy and the time taken to read the words (fluency). This is because dyslexic children often achieve accuracy but remain very slow at reading the words. This element measures the ability to read unfamiliar words by using letter-sound knowledge, spelling patterns and chunking the word into smaller parts. These assessments will often use nonsense words to test these skills. Children with dyslexia have difficulty hearing and identifying, pronouncing or recalling sounds. These skills are termed ‘phonology’ or the ‘sound system’ of our language. This part of the assessment will determine how well the child can process the word parts (syllables) and individual sounds (phonemes) of words. Many people with dyslexia are slow at processing information, whether it is visual (seeing) or auditory (hearing). An assessment should include tasks using sets of colours, numbers, objects or letters often presented in rows. The child is then asked to name them as quickly as possible. It is typical for dyslexics to be better at listening comprehension than reading comprehension. This is because they have difficulty decoding and accurately or fluently reading words: they lose the meaning in the text because it is harder and slower to read. Assessing a child’s knowledge of the meaning of words (vocabulary) should be completed using both a reading and listening task. This is because they may score poorly in a reading assessment because they can’t read it properly and not because they don’t know the meaning of some words. Archie’s assessment took place over a couple of sessions. There was so much to assess in the evaluation that Archie couldn’t have been expected to cover it all in just one session. We had to wait a while for the Ed Psych to pull all the data together and draft a long and technical report. She then made an appointment to review the findings with me and explain some of the technical content within the document. This was so useful. If you have the opportunity for a post-report meeting to explain the findings I would urge you to take it. It’s useful to ask another family member or a friend to go along to that session to help you remember what you’re told. You might even think about recording the session – but remember to ask permission before you do. I remember feeling empowered once we had our piece of paper. Nothing else had changed, but we were armed. Our battle for support could commence. Our report included a number of recommendations for the classroom and at home. In a sense, the recommendations for home were relatively simple: with some research and planning we were able to start doing them pretty much straight away (using larger text to address his visual scanning weakness, for example). The recommendations for school were a bit more of a challenge for us. The school we were in was not particularly ‘dyslexia friendly’ and it was a constant uphill struggle. But our piece of paper kept reminding us that we were dealing with a diagnosed learning difficulty. It kept us on track and, in the end, confirmed our decision to move schools. The report will provide a thorough snapshot of exactly where your child is on their reading journey. Because it is an entirely individual report your child’s specific skills and weaknesses will be detailed. Recommended intervention strategies – or ways to help your child – will be tailored to your child’s needs. Your child’s assessment might also identify recommendations for further testing. These might include hearing tests, sight tests, occupational therapy (for the fine motor skills needed for writing), and attention assessment. Your assessor should be able to explain all this and provide recommendations. There are some accommodations and special services that might require documentation to access them. Eligibility differs in different countries and states. One of your jobs is to understand your child’s report and know their rights. All this can seem pretty scary. But remember, there is support out there and those associations listed earlier in this blog along with the Facebook groups I mentioned are a great place to start.